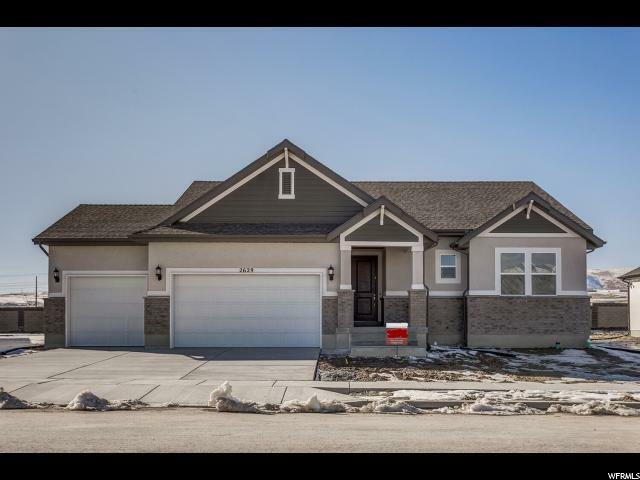 All HOLBROOK FARMS 810 homes currently listed for sale in Lehi as of 04/20/2019 are shown below. You can change the search criteria at any time by pressing the 'Change Search' button below. "Beautiful brand new Stonebrook Traditional home plan in a great up and coming master community! This rambler home features so many great amenities such as spacious bay windows in the kitchen nook and master bedroom, 3 car garage, can lighting, maple cabinets with hardware, stainless steel gas appliances, quartz kitchen counters, gorgeous kitchen tile backsplash, tile accent surrounds in bathroom, 2 tone paint, textured walls, chrome hardware, small modern base and casing, laminate flooring or so much more!!!"